Your industry demands the highest level of reliability and safety. You've invested in the right people, given them the best training and developed a professional ethos that is second to none. Snap-on is accustomed to working with essential industries like yours and is committed to delivering products and services that meet the high standards demanded by our customers. 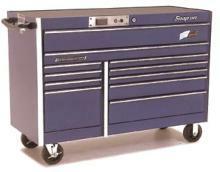 Snap-on hand tools, power tools and workshop equipment are renowned for their design, quality and safety. They are durable, reliable and strong and represent a sound economic investment. Snap-on programmes provide significant benefits in terms of advanced tool control, security, safety, asset management, training and FME (Foreign Material Elimination) support. If you need new tool storage for a workshop, a special tool for a difficult task, a mobile tool store for an outage, a rapid torque wrench calibration service or comprehensive support for your apprentice training scheme, you need Snap-on.